Watch the videos below to discover more about how our school leads the way in bringing world-class medical education to rural Australia, and training doctors for the country. UNSW has commenced providing the full undergraduate medical degree at SHREC, Port Macquarie. Dr Ashlea Broomfield, a UNSW medical grad and Coffs Harbour local, picked up 'GP Registrar GP of 2015'. Ashlea completed her medical degree at UNSW's Rural Clinical School, Coffs Harbour campus. This story originally aired on NBN Coffs Harbour. Jess talks about how to get into Medicine at UNSW through the Rural Entry Scheme - a special scheme for students from rural Australia. Med students give big shout-out to Wagga Wagga campus, which is a terrific place to study medicine and make great friends. Medical students give their impressions on life on and off campus in Port Macquarie, and the pros of studying medicine in this region. RCS Coffs Harbour campus recently ran a 2-day program to show local youth what studying medicine is like, and the various pathways into the degree. Sixteen medical graduates have begun placements at the newly developed Port Macquarie Base Hospital, including two new Port Mac RCS grads. Watch video. New graduate, John Coombs, riffs on why UNSW's Albury campus is such a terrific place to study medicine. RCS student, Jaime Fox, presents at the 3 Minute Thesis Final for UNSW ILP students. Her talk is on effective protocols for transporting head trauma victims over large distances in rural areas. RCS uses cutting-edge tech to teach students anatomy. 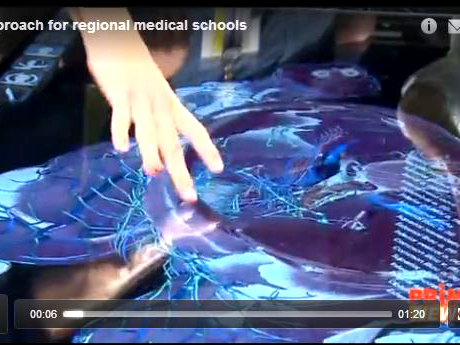 Watch Prime 7 story to see how our school is pushing into new digital landscapes, ensuring our rural students stay inline with the latest medical training advances. 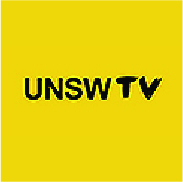 Indigenous high school students chat about their experience at UNSW's Winter School program and how it has inspired them to go on and study medicine at university. The Winter School medicine program is run by UNSW's Rural Clinical School and Nura Gili. Healthy foods and broken bones were among lessons with a difference for kids at a Teddy Bear Hospital. Put on by Wagga and Albury RCS students, the initiative shows kids that medicine, health and doctors can be fun and inspiring. 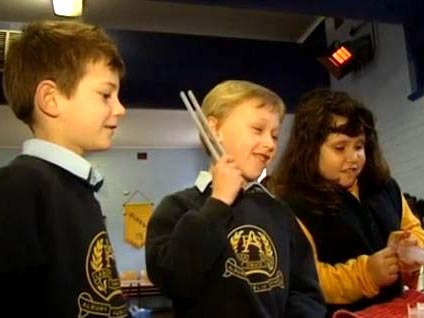 Watch video at Prime 7. Assistant Minister for Health, Senator Fiona Nash, opens UNSW's fifth rural medical campus in Griffith. This shows UNSW's commitment to strengthening rural medical education, and ensuring rural Australia has access to highly-trained doctors and quality healthcare. Students join RCS and Wagga Base Hospital staff to act out a medical response to a young 'dummy' skateboarder who's been hit by a car. Students show their stripes, dealing effectively with the emergency scenario. Rural Clinical School student, Matt Binks, reveals the hidden charms of country life and the pros of studying medicine at Wagga's rural campus. RCS student, Josh Jacob, discovers the difference between private and public healthcare in Guatemala, and then heads off on an adventure that takes him from Central America's Mayan ruins down to Brazil's tropical beaches. RCS student, Jodie Wheatley, talks about her experience in Vietnam, working in a hospital, meeting the friendly locals, and sampling the fantastic flavours of the region. RCS students often do placements in remote areas in Australia, or overseas, and have chosen exotic locales like Nepal, Guatemala, South Africa and Vietnam to name just a few. RCS students from the Albury and Wagga campuses got together to hold a Teddy bear Hospital for kids from a local school. The kids had lots of fun plucking magical coloured balls out of a teddy bear's stomach and fixing each other fingers. The event shows kids that medicine and doctors can actually be a blast! Renae Lawrence and Sarah Parker, two UNSW medicine students who are originally from towns close to Port Macquarie, are now returning to Port to complete their medicine degrees. They sat down to chat about how excited they are to study so close to their friends and family. Students share their experiences about living and studying at the UNSW Rural Clinical School's Coffs Harbour campus, and why they wouldn't trade their experience for the world. Students from UNSW's Griffith campus take time out to tell us about studying and living in Australia's citrus fruit capital. This short animated video shows that UNSW RCS is successful in inspiring our students to practise medicine in rural Australia. More rural doctors will help reverse the shortage of healthcare professionals in under-served rural and remote areas, ensuring these communities have access to quality healthcare services, keeping them healthy and safe from disease. Dr Damien Limberger is a former UNSW medicine student from Wagga Wagga campus, and current head of UNSW's Griffith campus. 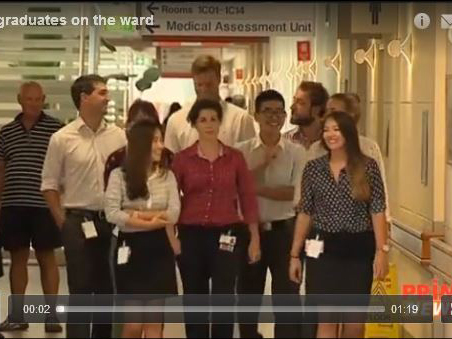 In this video he talks about what inspired him to practise and teach medicine in Griffith, and the advantages of studying medicine in the country. Known for its world class wines, a rich culinary tradition, and stunning scenery, Griffith is a bustling cosmopolitan regional city. Watch this video to learn about our medicine program in Griffith. ILP award finalist and Rural Clinical School medicine student, Julia Fattore, talks about her study that looks at the measures to increase the use of paediatric clinical practice guidelines in emergency departments across regional and rural NSW. Julia was one of two winners, picking up the People's Choice Award.